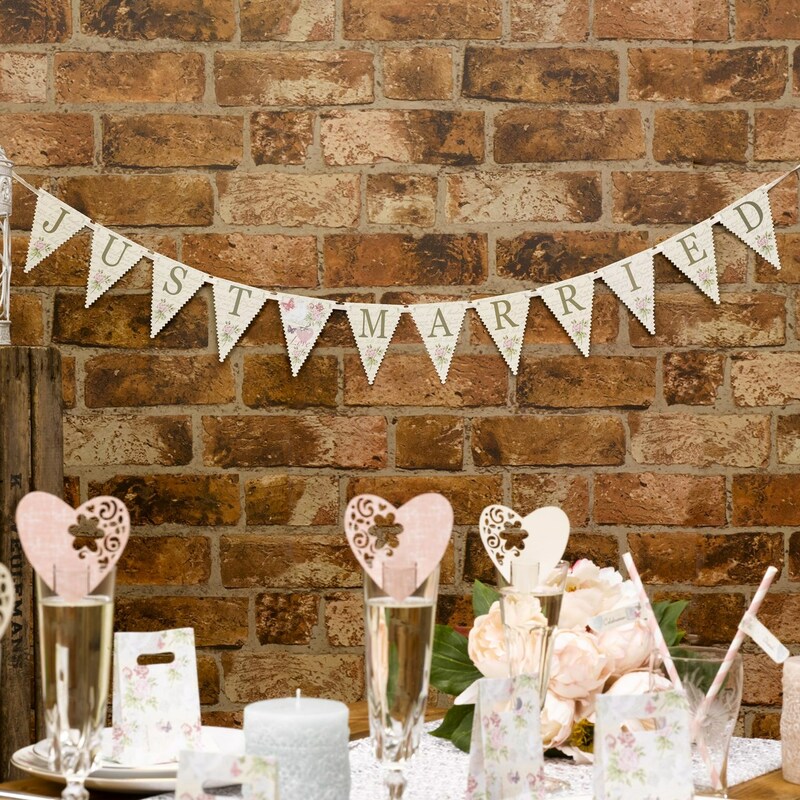 Add some vintage-style charm to your wedding celebration with this beautiful bunting, an easy way to dress your venue. Featuring 12 individual, double-sided flags, this pretty bunting spells out "Just Married" and includes a central flag featuring a charming illustration of flowers, butterflies, hearts and doves. With a delicate scalloped edge and background inspired by old love letters, this lovely bunting can be used to dress walls, tables, trees or other areas of your wedding venue, either indoors or out.